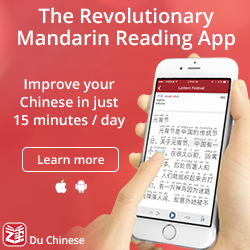 How long do you have to study Chinese to make it useful? There are many reasons why people learn things, but usefulness is one of the most common reasons when it comes to language learning. 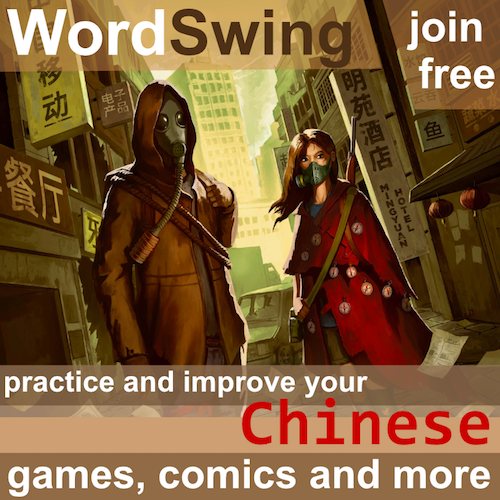 Naturally, there are people who learn Chinese mostly because they enjoy it or because they are fascinated by the language, but most people still have some kind of usefulness in mind. One question I have received many times is how much Chinese you need to know for it to become useful. Sometimes, it’s not a question, but a statement: it takes so and so long (often too long) before you can actually use your Chinese to do anything. I think this is the completely wrong way of looking at it. Your language proficiency will never reach a level where it suddenly goes from being useless to being useful. The possible exception is a standardised test that you just barely pass, which might open some doors for you, but that’s such a marginal case that I don’t think it has any effect on the argument here. Instead, the more you learn Chinese, the more useful it will become. Naturally, there are specific areas where you need a certain level to even get started, but there are no clearly defined thresholds. Let me summarise my thought process when it comes to the usefulness of learning Chinese. I have written a series of articles about my own journey, so if you want to know more about that, you can start reading the first part here: How I learnt Chinese, part 1: Where it all started. When I started learning, I did it mostly for fun. 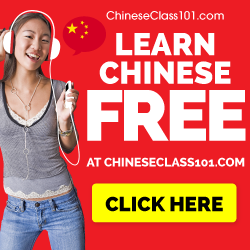 I thought it would be useful to understand a little bit about a truly foreign language and perhaps I would travel to China one day or talk with Chinese people elsewhere in the world. When I had studied for a year or so, I realised that while I could certainly have simple conversations, ask for directions and so on, it wasn’t really enough to exchange ideas of any significance with native speakers. So I moved to Taiwan and studied another year, which made it possible to make friends, exchange ideas, and I could also function relatively well in a Chinese-speaking society, dealing with bank errands, renting an apartment, make travel arrangements and so on. But I also understood that this wasn’t enough to make it professionally useful. So I studied another year, thinking that it would give me a solid enough foundation to teach the language (I was already on my way to becoming an English teacher when I started learning Chinese). That left me where I could definitely teach beginners with some confidence, but it was just barely enough to engage with native content and participate in all-native discussions on some kind of acceptable level. So I kept studying, eventually going to Taiwan for master’s degree in teaching Chinese as a second language, taught entirely in Chinese mainly for native speakers. That was to make sure my Chinese was really good enough (whatever that means). Finally, the Holy Grail! There are many things I still can’t do in Chinese. I can’t write fiction in an acceptable way, I still need to double-check formal writing and so on. The point is that Chinese has been useful for me all the time, it’s just that the criteria have changed. Learning Chinese is always useful in some way, as is learning any other language. My advice to those who ask questions about when it becomes useful to learn Chinese is to stop and think about what that actually means. Why do you want to learn Chinese? If your goal is to make a living off only the language, we’re talking about tens of thousands of hours of studying. If your goal is to combine Chinese with some other profession, then just knowing basic conversation might be very useful, and that can be achieved in 100 days. If your goal is to learn about another culture, language and people, then even a beginner course will be useful. 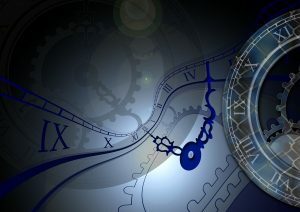 By knowing more than nothing, you show that you are interested and that you care. That means a lot to many people. You also expand your bubble and understand a little bit more about how strange and wonderful the world and the people in it actually are. So, by way of concluding this article, asking or commenting on how long it takes before your Chinese becomes useful is meaningless. If you add a specific context in which you want it to be useful, it makes more sense, but is still extremely vague. The problem with learning Chinese is that for a long, long time learning Chinese was not about being proficient with the language. It was about becoming a Sinologist and reading classical Chinese literature. There is still a snobbery today in Chinese learning that looks down on mere ‘useful’ practitioners and assumes anyone who is learning *must* be pursuing an academic career as a linguist. The unspoken mentality pervades a lot of study materials, although this is getting slowly better. I’d like to see a post on this phenomenon. I remember learning from a very popular book published in Beijing and on lesson 4 or so, the word “geography” was taught. This is for rank beginners, lesson freaking 4, a word like “geography”. I asked online why I was learning a totally useless word like this instead of something like, I don’t know, “where’s the bathroom”? I was told off in no uncertain terms and informed to go get a phrasebook if I wanted to learn like that. The word would become useful years later in my studies, I was told. Since something like 95% of Chinese learners never get past beginner level, I really questioned the validity of that assumption. BUT it all makes sense if you’re an academic pursuing a 4 year degree that will eventually end with you reading classical Chinese. Everyone uses their Chinese in different ways. Some people focus on reading and writing and can read Classical Chinese novels in the original. Other people focus on listening and speaking and you would think they are native speakers. If you are in a solid Chinese program you are probably getting a more well-rounded education. I think ultimately you have to come to your own definition of what being proficient in Chinese means. I mean you have to be motivated by something that pushes you further and outside a school curriculum. While I never got into reading comic books or literature, I remember buying a small pocket radio in Taiwan in 2009 and listening to local radio. Now it is 2017 and I still listen to Chinese radio on my smart phone. 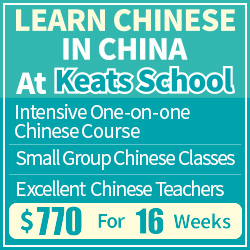 Just find your joy in learning Chinese or your interest will never leave the classroom.